The Wild Atlantic Way is a tourism trail on the west coast of Ireland. The 2,500km driving route passes through nine counties and three provinces, stretching from County Donegal’s Inishowen Peninsula to Kinsale, County Cork, on the Celtic Sea coast. 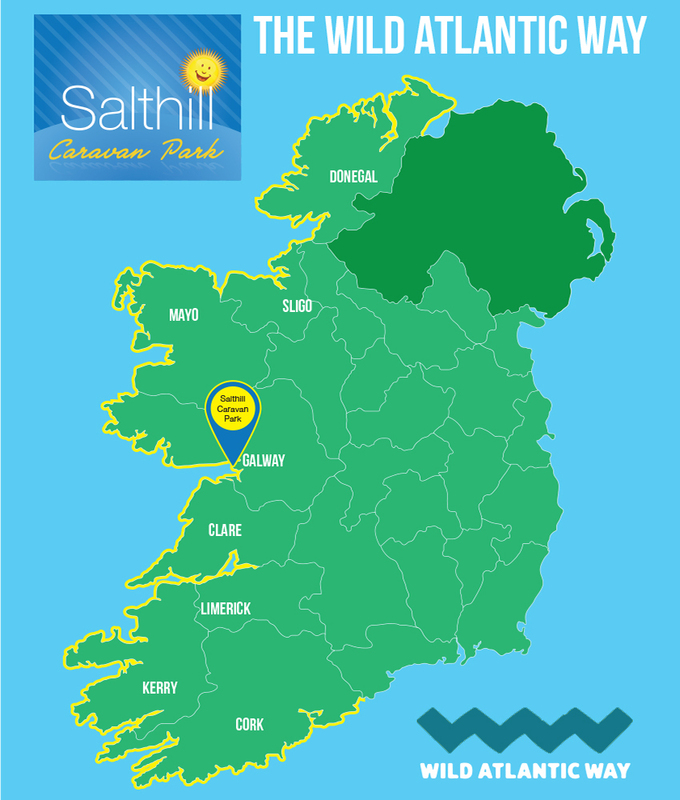 Salthill Caravan Park is right on the route in Salthill, Co.Galway. Along the route there are places and attractions which have been designated as points of interest for travellers.